Three young Qataris who have served as leaders in sport, business and technology have been recognized among the Middle East’s movers and shakers, ranking in the latest list of the 100 Most Powerful Arabs Under 40. The man leading Qatar’s 2022 World Cup plans, Hassan Al Thawadi, was listed as the region’s third most influential person, according to an index compiled by industry publication Arabian Business. Al Thawadi, 37, is secretary general of the Supreme Committee of Delivery & Legacy, and oversees construction of all the stadiums and infrastructure that must be ready ahead of the tournament. He has held the position since March 2011, after serving as CEO of Qatar’s 2022 bid committee. During his tenure, he has had to address a number of controversial issues, including corruption allegations over Qatar’s bidding process, human rights concerns about workers building venues for the event and FIFA’s decision to shift the date of the tournament to the winter. A law graduate from Sheffield University in the UK, Al Thawadi also serves as General Counsel of the state’s sovereign wealth fund, the Qatar Investment Authority (QIA). That fund has invested in some of the world’s biggest brands including Barclays, Harrods and UK supermarket chain Sainsburys. Internationally-renowned Qatari athlete Mutaz Barshim was also recognized on the index, as one of the Arab world’s leaders in sport. The 23-year-old Olympic bronze medalist high-jumper took the 73rd spot in this year’s ranking. He sparked a social media craze last year after his record-breaking performance at the IAAF Diamond League final in Brussels in September when he cleared 2.43 meters (about 8 feet), making him the second highest jumper of all time. 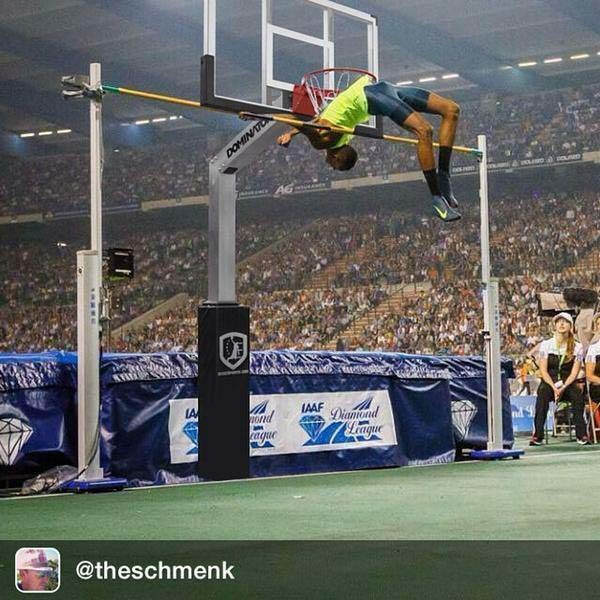 His achievement caught the attention of sports commentators, and spawned a meme under the hashtag #ThingsBarshimCouldJumpOver, featuring photoshopped images to show the scale of the athlete’s feat. The third Qatari to make the list is entrepreneur and businessman Khalifa Saleh Al Haroon, who became a public name after setting up the community website I Love Qatar (ILQ) in 2008. Al Haroon, who took 85th place, is also founder and CEO of Haroon United Group. HUG describes itself as “a group of young and enthusiastic Qataris and long-term residents who helped to build one of Qatar’s most vibrant holding companies,” whose interests include King Koil, Shake Shack and The Camel Co.
Al Haroon is also head of interaction and innovation at Vodafone Qatar and is executive director of marketing and communications at Qatar Stars League – the top professional football league in the country. He has featured on a number of lists of young people to watch in the region, including being named Young Achiever of the Year by Arabian Business in 2014 and Entrepreneur of the Year by telecoms ministry ictQatar in 2011. 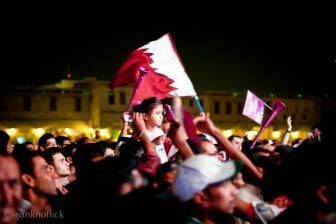 Earlier this year, in a separate list published by Gulf Business, some 15 Qataris were included 100 Most Powerful Arabs 2015 list. This list, which included royal family members and politicians who had strong corporate connections, saw Qatar figures take seven of the top 50 spots. Al Thawadi was in 11th place in that index, making him the top-ranking Qatari. Qatar has one of the fewest number of leaders on this year’s Top 100 index. The UAE has the most, with 24 of its leaders included, while Lebanon follows in second place with 15. Palestine has 12, Egypt 10 and Saudi Arabia nine entries. The list does not include any members of royal families or politicians, and none of Qatar’s top three are women. Leading the power list is Egypt’s Jawad Nabulsi, a 33-year-old activist, entrepreneur and humanitarian who founded the non-governmental organization Nebny Foundation. Initially established to provide medical assistance to those caught up in the 2011 uprising, it has developed to economically empower Egypt’s youth through micro-finance loans, support for skilled craft workshops and other initiatives. Kuwaiti businessman Bader Al Kharafi was ranked second. One of the heads of the family conglomerate MA Al Kharafi & Sons Company, he became director of the group’s executive committee in 2012 and is vice-chairman of telecommunications organization Zain Group, which has 44.3 million customers in eight countries in the Middle East and North Africa.